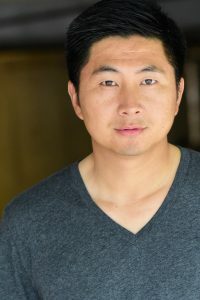 He played in Chris Ethridge‘s Dollar Baby Survivor Type as Changsai. Lawrence Sykkmon: I immigrant to the USA from CHINA when I was 15. I am an actor, I’ve been acting since 1996. I used to own restaurants and furniture store. I didn’t finish my college education. Instead I started taking acting classes. I find that college education useless. I like traveling for work. I don’t like traveling for fun. Sightseeing is pointless in my opinion. I enjoy people watching. I don’t like events with too many people. Lawrence Sykkmon: I was born poor. Acting is really more like a survival skill to me. So being an actor is just like living. One must know how to change colors, like a chameleon. Lawrence Sykkmon: My agent submitted me for the audition. Lawrence Sykkmon: To see a human being in a harsh situation, dealing with it and overcome it. It builds character. Lawrence Sykkmon: I auditioned for the role. Lawrence Sykkmon: It was fun and easy. Lawrence Sykkmon: It’s been a while, I can’t say I remember much. I usually don’t linger my mind on things I done. I move on quickly. Lawrence Sykkmon: I still act and audition frequently. Lawrence Sykkmon: I am a Master Golf Teaching Professional. Lawrence Sykkmon: No, I am good.